Out-of-State adjusters: When a widespread event happens like a wind or hail storm, insurance companies are inundated with claims. They often have to bring in adjusters from other states to help manage the workload. These adjusters rarely know local code ordinances, so their estimates don’t include them. Another way to save money: Whether or not we like it, the truth is insurance companies care about their bottom line more than their customer. If they can cut corners without the policy holder knowing, they will. They often leave out code items purposefully to lessen their cost. Living in the Grey: Insurance companies love to make a grey area, even when one doesn’t exist. We’ve heard every excuse in the book for why code items are excluded… “They are code but they aren’t enforced, so we don’t include them unless they explicitly say they’re enforced” is our favorite. Insurance estimates can already feel like they’re written in another language, how are you supposed to decipher them at all, let alone check for code items? That’s why we recommend you hire an expert to work on your behalf, like Modern Remodeling. We are an insurance contractor with over 28-years of experience. We help customers understand their insurance estimates and ensure everything owed is included, like code items. 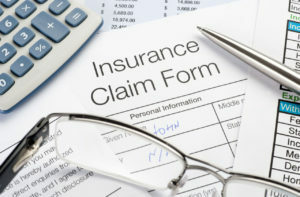 If you need help with your insurance claim, feel free to call us at 410-569-1732 or contact us directly.